Hol dir Sonne in die Küche. Diese moderne Interpretation mediterraner Keramik hat die Architektin Stefania Vasques für uns entworfen. Das farbenfrohe Topfset mit mattem Finish wird auf traditionelle Weise in Italien hergestellt. 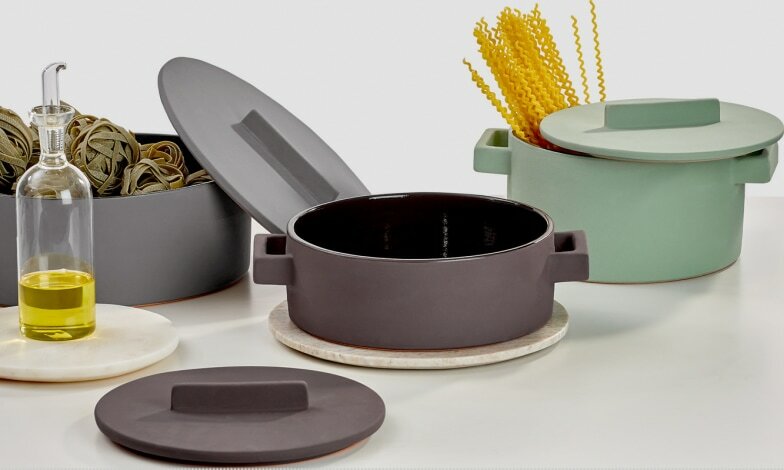 This colourful terracotta cookware collection includes an oval saucepan, sauté pan and casserole pot. All with a rustic matt textured finish and reassuringly weighty feel.